Winter Storm Warnings and Winter Weather Advisories are up for much of the Northeast southward into the interior Middle Atlantic. Winter Storm Warnings and Winter Weather Advisories are posted for the Great Lakes as well as parts of the deep South. For most of this area it is a race between the cold air and the precipitation. In some areas the cold air wins and arrives while precipitation is still falling. In other areas the precipitation either shuts off first or shuts off shortly after the cold air arrives leaving very little. In some areas it is not an issue where cold air is already present and it is just snow from start to finish. Good luck snow lovers. In the NYC are and nearby the coast is going to be under the gun as cold dry air will come in just as the precipitation is moving out so amounts are lower near the coast. Inland north and west there will be more time to work with and here amounts are higher. For New Jersey and Northeastern Pennsylvania we have the coast where here too the cold dry air will be coming in just as the snow is pulling out. 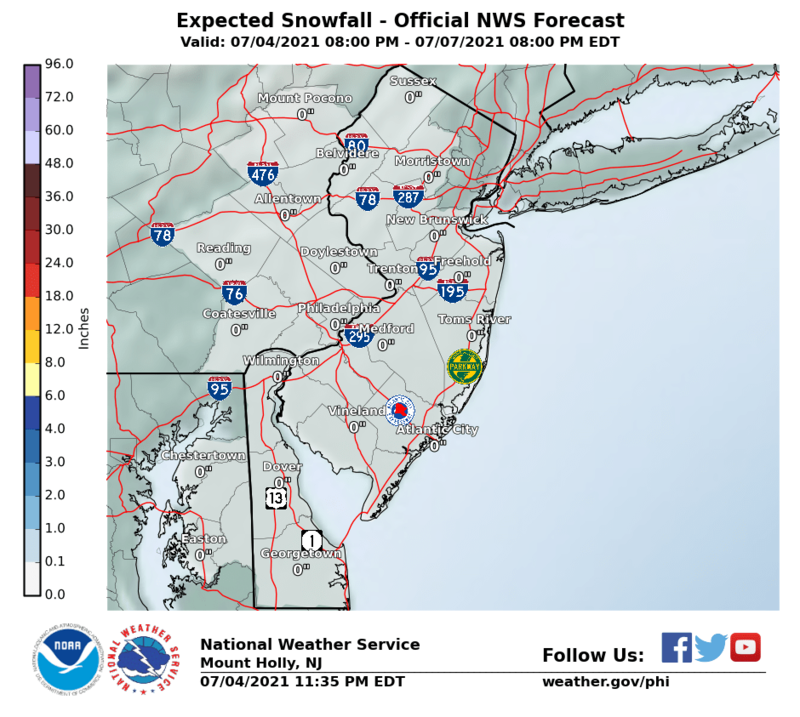 Amounts are low south and east of the New Jersey turnpike. Amounts increase as we near the Pennsylvania state line and increase. The system is north south in orientation so it s quite possible that Philadelphia sees a few inches from this while NYC gets very little. In Northeast Pennsylvania some models point to this as the jackpot zone with 6 inches plus being indicated by the National Weather Service. In Southeast New England where the snow drought continues here the warm air could be too overwhelming and amounts decrease substantially as you go south of Route 95. 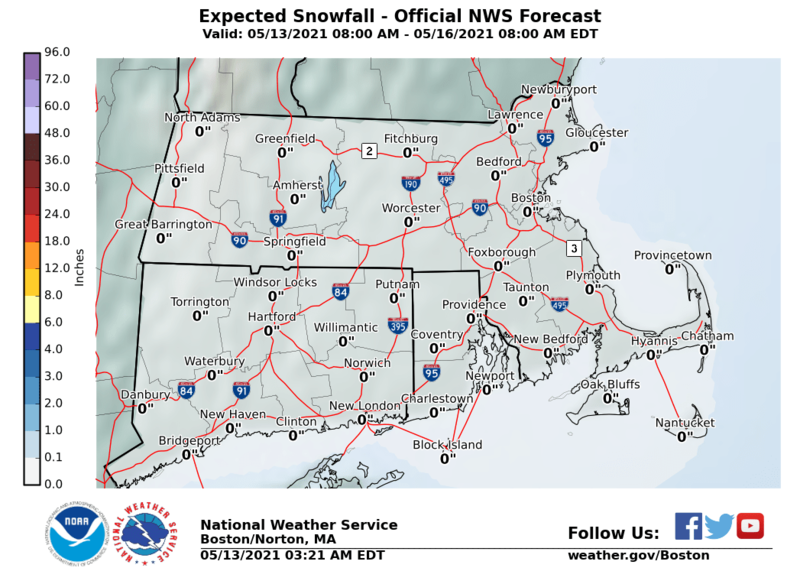 They go up north of Route 84 with the highest amounts west and northwest of Boston. 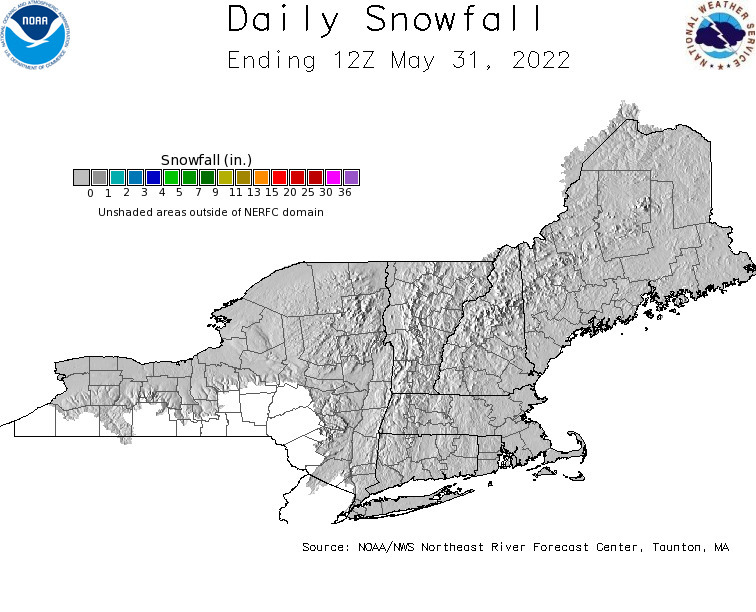 Well after all it is Northern New Hampshire and Maine where it is all snow and eventually Winter Storm Watches and likely warnings will go up for Tuesday night into Wednesday once this whole thing plays out. 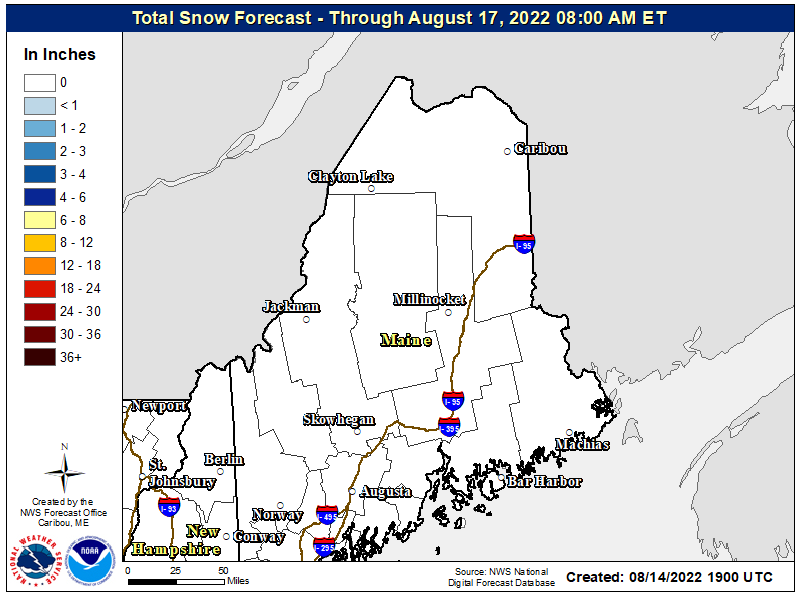 The lower amounts will be Southern Maine along the coast and in the Southeast part of the state but here at least 4 inches will accumulate which are flurries by Maine standards. 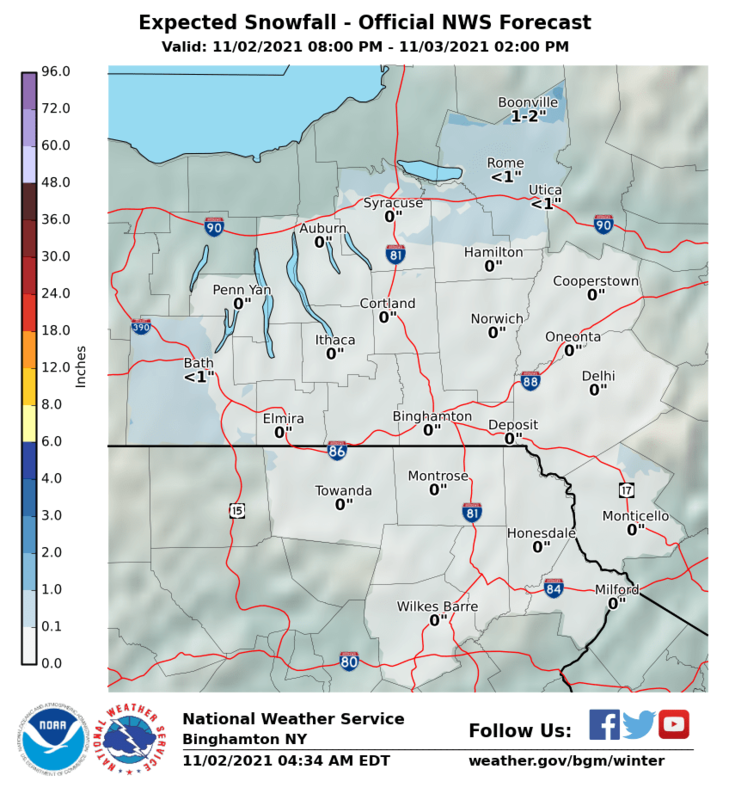 For Northern and Northeast NY as well as much of Vermont it is a 6 to 8 inch forecast. Winter Storm Watches are up for Northeastern NY and we will likely see more watches go up Monday for much of this area. This could very well be another jackpot zone with Winter Storm Watches for areas west of the Hudson and also as you go east into the Bershires in Massachusetts. 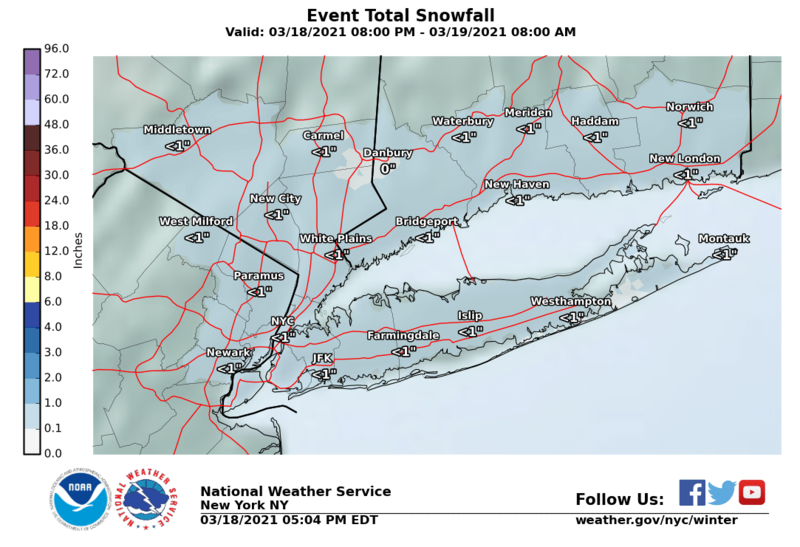 Lower amounts in between and southward into Litchfield County in Connecticut down to about Route 84. Winter Storm Watches are up from the Catskills northward mainly west of the Hudson River. 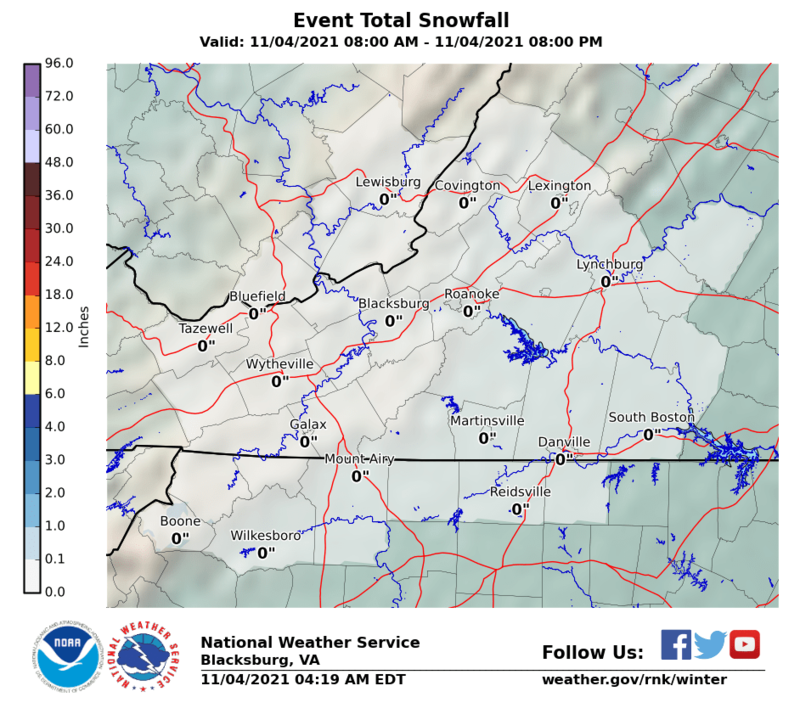 Another jackpot zone here for areas going north along I-81 with 8 to 12 inches forecast. 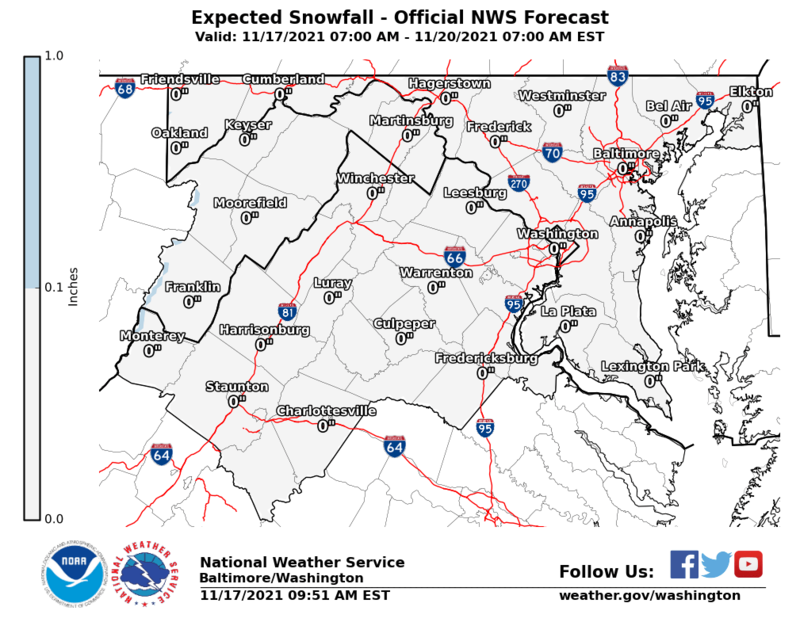 Lower amounts as you head westward and then southward toward the Pennsylvania state line. Some jackpot amounts are forecast for Northeast Pennsylvania as well. 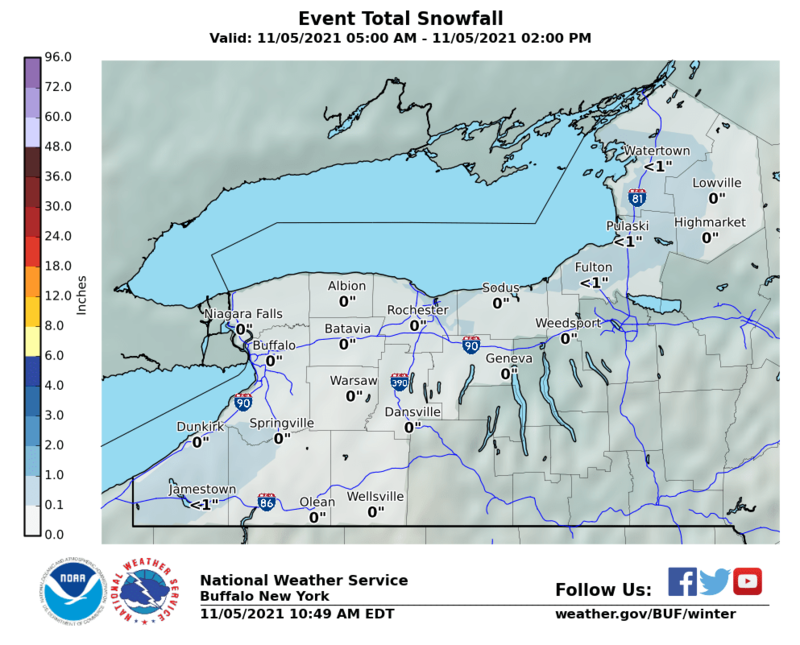 Amounts decrease in the widespread snow forecast elsewhere as we moVe into Western NY but in the dark blue shaded areas is where we get to see some lake effect snow amounts. NOTE THE TIME STAMP HERE AS THIS MAP IS LIKELY TO BE UPDATED. This area in Central Pennsylvania will see higher amounts as you head north with the northeast portion this forecast zone just on the edge of the higher amounts being forecast for Northeast Pennsylvania. Timing of the rain to snow in the southern part of this zone will be critical to total snow amounts. For this area this is another example of where Washington DC & Baltimore could wind up with more snow than NYC due to the north south orientation of the front and the placement of a wave on that front however weak it may be. Highest amounts will be north and northwest of the big cities with less to the southeast and along the coastal areas. Here we deal with the criteria for Winter Storm Watches being lower than in other areas so the amounts being forecast are lower. Much of this area saw a foot plus back in December so this should pale by comparison. 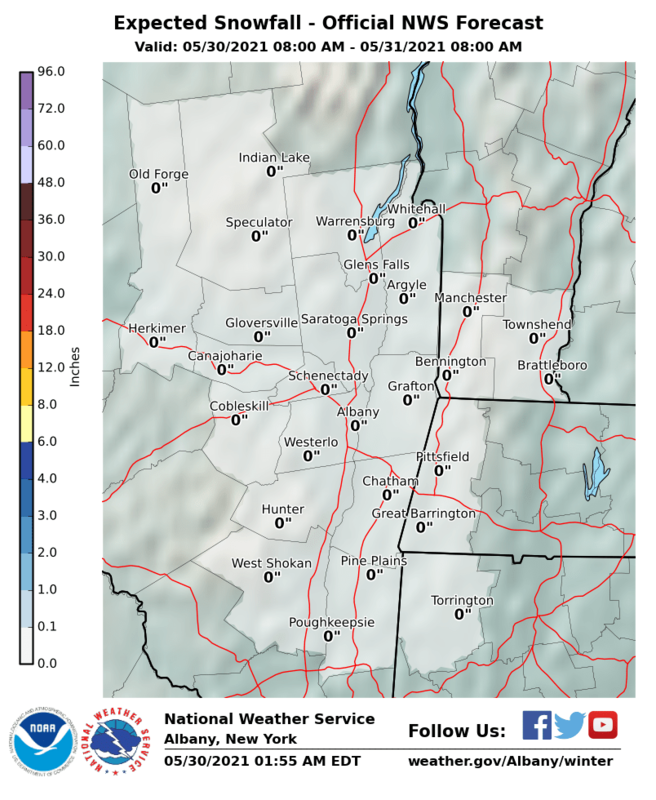 The combination of a few inches of snow and the rapidly falling temperatures will create some rather nasty travel conditions for the mountains.